Aren't these pretty? I think I'm in love with these sweet little vases. Best of all? 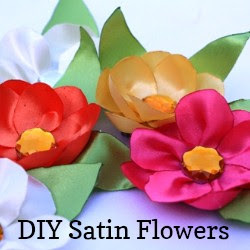 They are an inexpensive, green and simple craft that you can make at home. 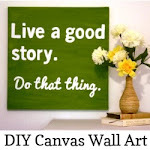 Today, I'm sharing just how to do that in my DIY Raffia Vase Tutorial over at DIY...Your Way, a division of Life...Your Way. Come check it out! Gifts of flowers don't need to be expensive. Skip the pricey bouquet, and fill one of these homemade vases with a few stems of flowers from your garden. 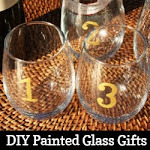 It makes a sweet and simple gift for a friend, a teacher or a hostess. You can make several of these and keep a few on hand for when you need a last minute gift. It's so much easier and cheaper than running out to the store! 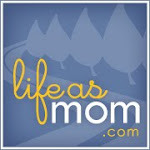 For other money-saving ideas, be sure to stop by Frugal Friday at Life as MOM. Very sweet! I love giving flowers to others and I agree that it doesn't have to be a big bouquet in order to brighten someones day. Thanks for stopping by Abbi! I truly believe that with flowers it is the thought that counts. 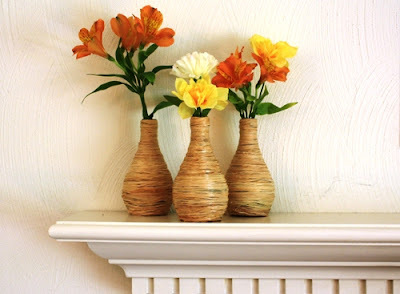 Small vases like these are especially great for home-picked flowers.